The Interweb is a marvelous thing. I read a lot of blogs for ideas and inspiration, and not long ago I stumbled upon this homemade recipe book on The Small Object’s blog Steno Pad. I thought it was great, but I wasn’t thinking of giving any recipes this year. Then somewhere else in my wanderings-I didn’t bookmark the page so now for the life of me I cannot find it again-I saw a post about a homemade doodle book with comic strip panels for a child to fill in. Again, great idea but I couldn’t think of any little artists on my list who’d be interested (I did a few art gifts last year). Then I was trying to figure out what to make for Adam’s 11-year-old niece, Cleo. Fortunately I spend a lot of time around the preteen set, and I remember the kind of stuff I loved at that age. 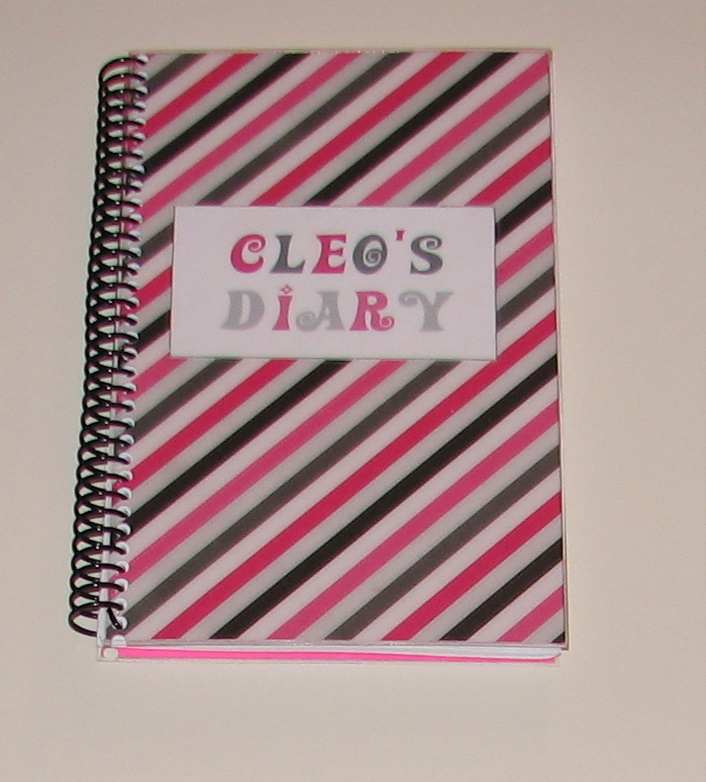 Ideas collided and I decided to make Cleo her own personalized diary. I’d bought a giant book of Christmas themed scrapbook paper a few weeks ago, even though I don’t scrapbook and had no idea what I would do with it. 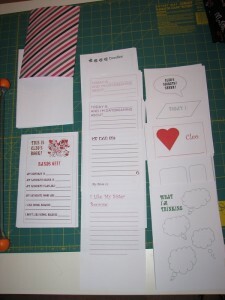 The papers were just so cool, and many would work outside the holidays. 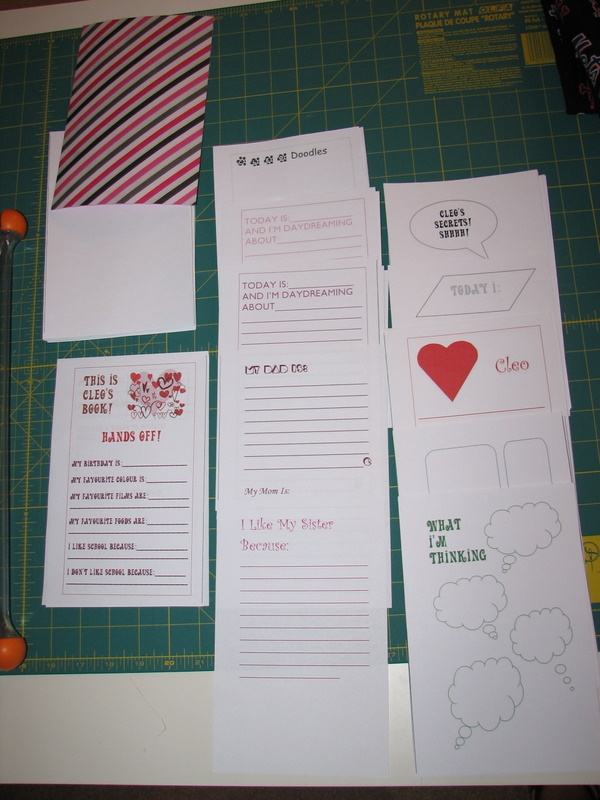 I had cardstock lying around and plenty of ink in my printer. 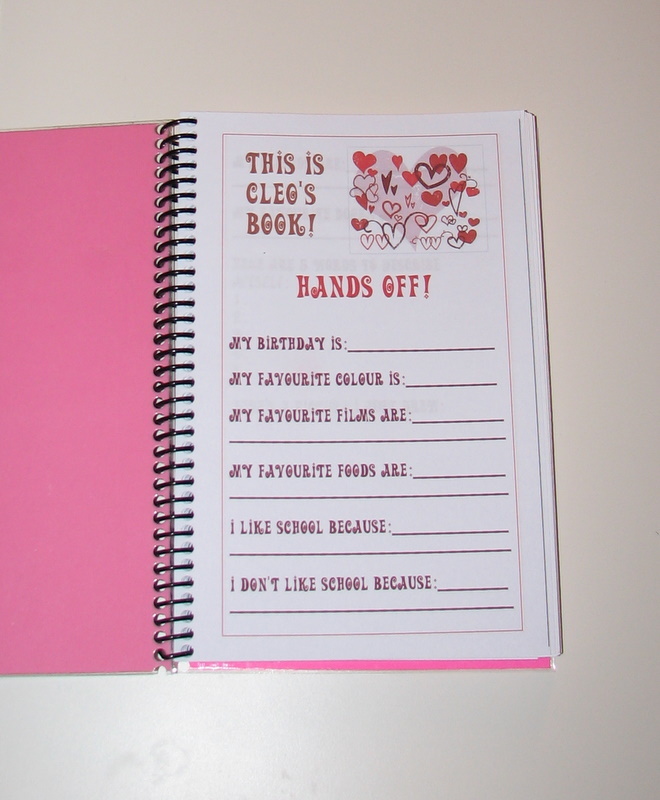 So I designed her this 5 1/2″ x 8 1/2″ diary (half the size of regular printer paper) basically in Word. I went to Staples and had the front and back covers laminated and the whole thing spiral bound. I made it in one evening, and the trip to Staples cost about $6. Coolest and most affordable present I’ve ever tried, I think (the scrapbook paper was $20 if you want to throw that in, too, but wrapping paper would also have worked). Now both of the London nieces are taken care of with presents. 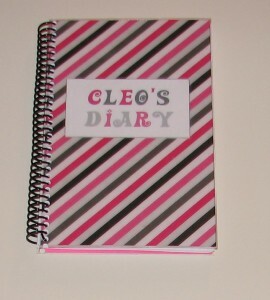 My Cleo’s Diary How To is up here.